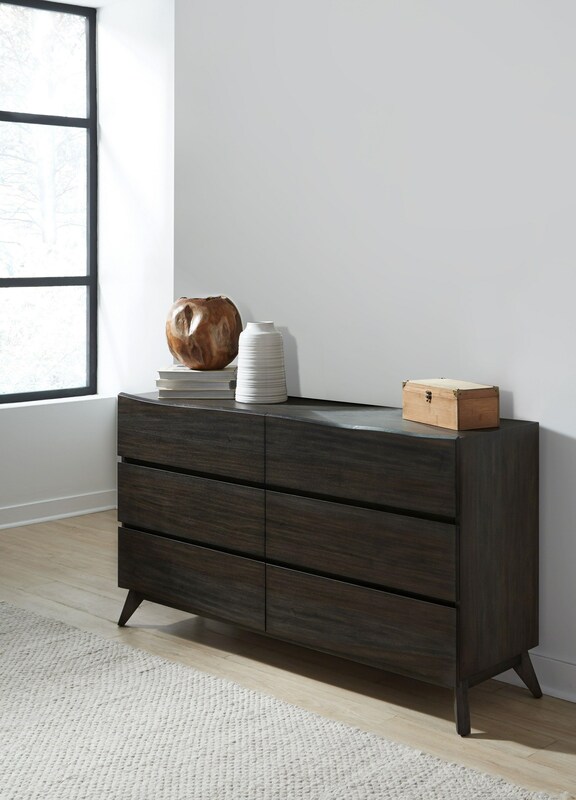 Crafted for lasting beauty, the Tahoe dresser imparts the timeless warmth of a family heirloom. Generous slabs of Sengon Tekik wood are carefully sanded and polished, then finished in varied hues of deep umber grey, providing the perfect complement to a distinctive wave silhouette. The Denver Dresser at Ruby Gordon Home in the Rochester, Henrietta, Greece, Monroe County, New York area. Product availability may vary. Contact us for the most current availability on this product. Storage Felt-lined top drawers. Full-extension ball bearing draws glides. Sanded and stained drawer interiors with English dovetail joinery.